This weekend London hosted the second edition of Femme Fierce, the UK’s largest all female street art and graffiti festival. Four of us (Zina, Lisa Richer, Fiona and myself) had the chance to paint the Shoreditch Art Wall on the Saturday. I decided to paint a portrait of astronaut Anna Fisher, inspired by a photograph from J. Bryson (which made the cover of Life magazine in 1985). 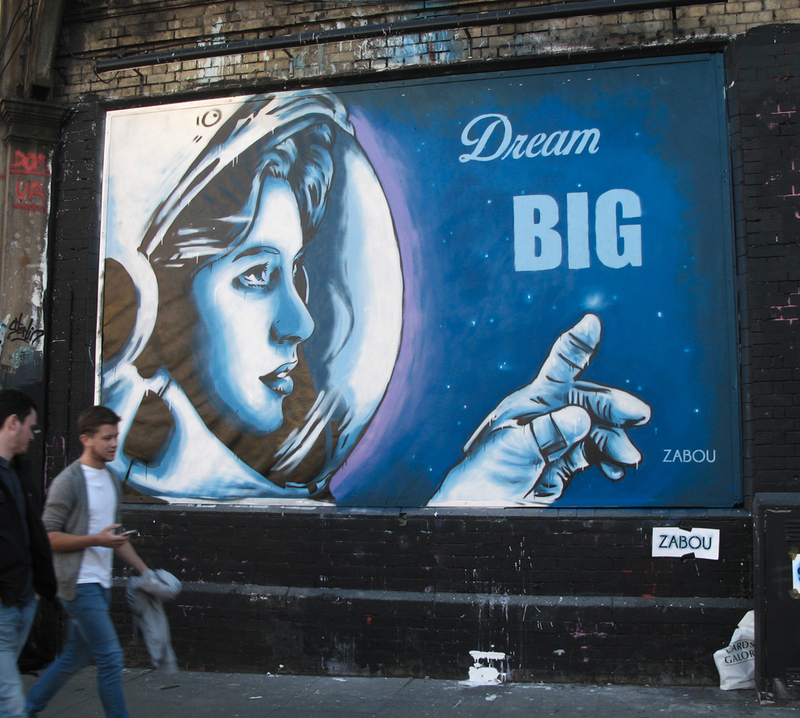 She’s surrounded by a starry sky where the words ‘Dream BIG’ appear, her hand pointing at it. ON THE RUNCUT IT OUT!